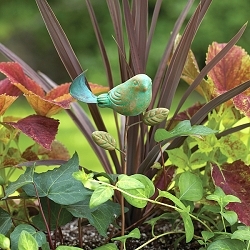 Attractive accent for your garden landscape or indoor decoration! 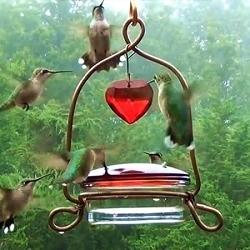 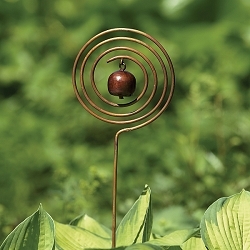 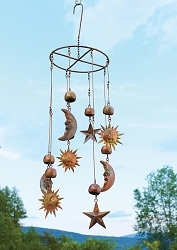 Peaceful and relaxing dangle sounds in your garden, porch or patio! 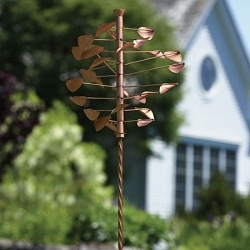 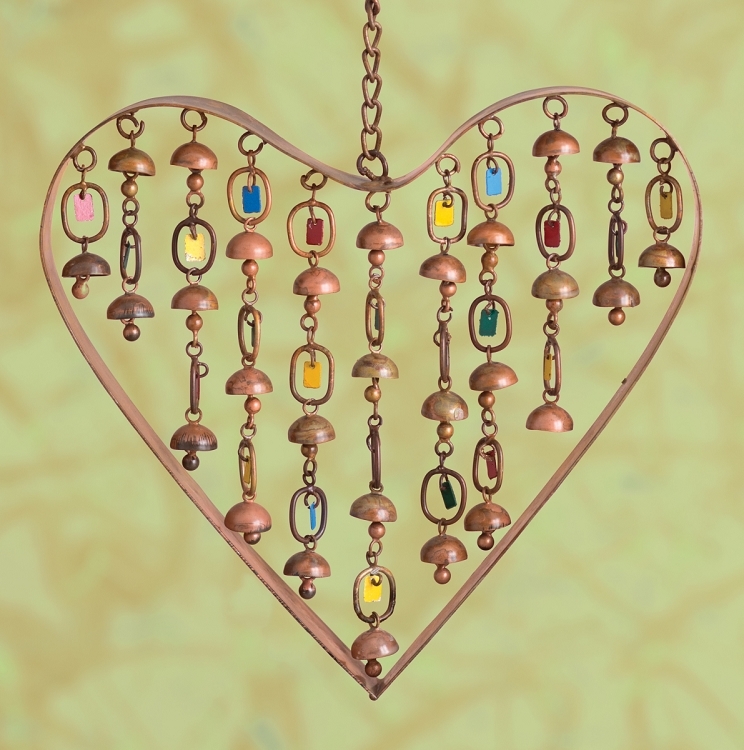 Enjoy the gentle sound of metal dangles when the wind blows with our nature inspired Flamed Copper Heart with Dangles 9 Inch Chime. 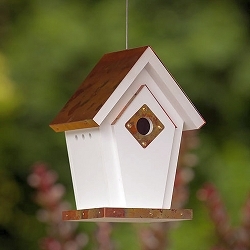 Handcrafted with lots of attention to detail. 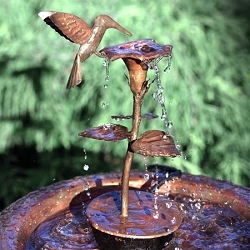 Gorgeous flamed copper weather resistant finish. 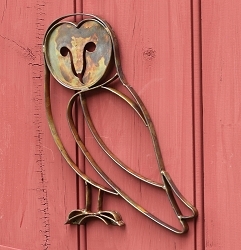 Includes copper hook for easy mounting. 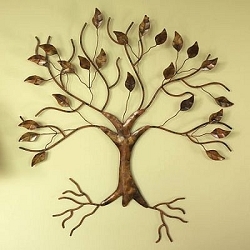 Truly a work of art! 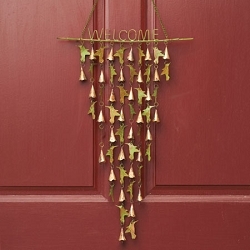 These make wonderful gifts for any occasion. 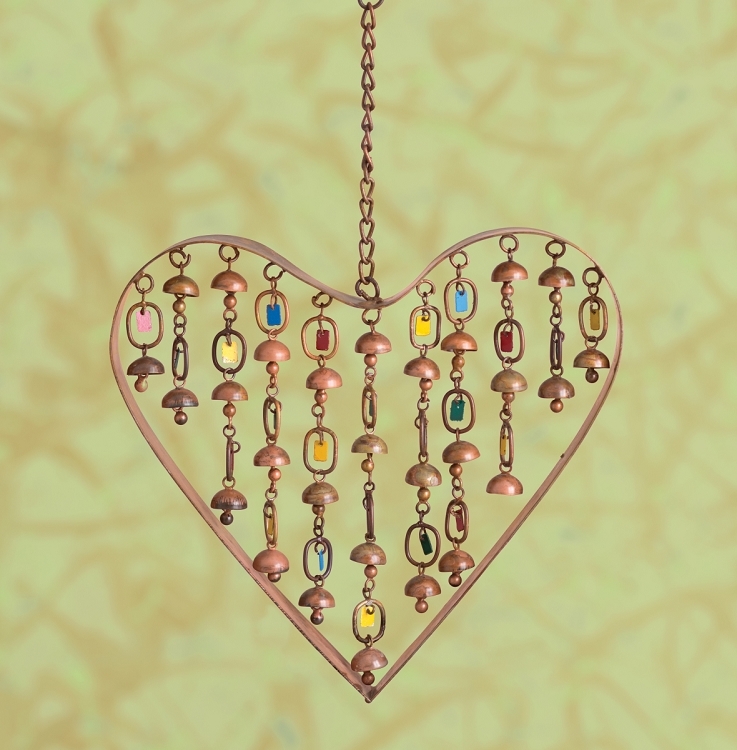 Dimensions: 9"L x 1"W x 17"H; Weight: .75 lb. 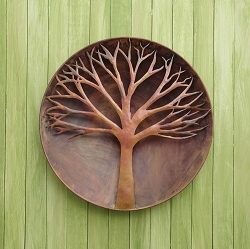 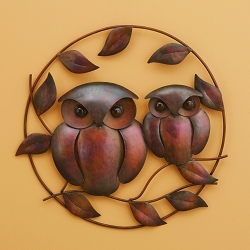 Flamed Copper Raised Tree Wall Disc 24"
Flamed Copper Owl Duo Wall Hanging 18"